Looking for a quality commercial painter and decorator for your next project? Fairway Decorating Services Limited is an established Painting & Decorating Contractor based in the North West. We offer a professional and reliable service to the commercial and industrial sector based on quality, trust, reliability and competitiveness. With 30 fully employed time-served painters and decorators including a CITB apprenticeship scheme we also offer our services nationally. We provide a full range of Painting and Decorating Services Including Industrial Painting, Commercial Decorating and Programmed Maintenance Painting – a unique maintenance concept that keeps your premises in tip top condition on an annual basis. This involves an initial repaint in year one and a return to site each year to perform a maintenance service that is financially guaranteed throughout the agreed duration of the contract. 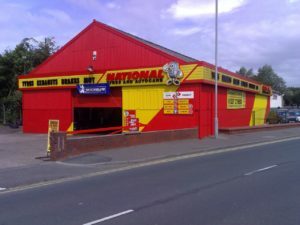 With flexible negotiable payment terms this concept has many advantages including making budgeting easier, provides a way to make the whole site uniform and aesthetically appealing helping to promote your business’s professional image, and also protects the building fabric – cutting down on future repair costs. Fairway Decorating Services are specialist Commercial Decorators. We cover many different sectors including Schools, College’s, Universities, Retail and Leisure Sites, Industrial and Commercial Premises, Factories, Landlords Properties, Property and Residential Managers and Council and Government Buildings. Based in Manchester with satellite branches in Merseyside and Crewe, Fairway Decorating Services Ltd can offer a friendly, professional, reliable, safe and competitive service. We aim to provide a Focused and Professional Service to each of our clients and have developed a steady and sustained customer base with excellent referrals on previous and ongoing contracts. We have many accreditations to our name Including CHAS, Safe Contractor, Contractor plus, The Guild of Master Craftsmen and The British Decorators Association. Our operatives are trained to the highest standard in Health & Safety site management as well as quality. All operatives are trained and certified for Asbestos Awareness, Manual Handling, Working at Height and are CSCS and CRB registered. We also have experienced and licensed IPAF and PASMA operators to enable us to tackle most jobs of any size or shape. Fairway Decorating Services are one the leading providers of Industrial Decorating and Painting in the country so you can take confidence in knowing that we are the ideal company of choice as our Industrial Decorators are regarded as the best in the business. We understand the importance of quality in the sector that we specialise in, which is why our dedicated team are passionate about what they do and always strive to perform a the highest standard of service at the utmost level of professionalism. If you want an efficient, cost effective and professional Industrial Painting and Decorating Contractor then Fairway Decorating Services is the answer to your problems. Our reputation for professionally decorating industrial units has resulted in Fairway Decorating Services establishing a long-running relationship with national companies and organizations, as well as smaller regional businesses across the UK. If you wish to know any more information about the services that we provide here at Fairway Decorating Services then please feel free to browse our site or give us a call and one of our specialists will be happy to assist you however they can. They will also provide you with answers to all of your questions and concerns. Alternatively, you can also contact us via email by filling in one the contact forms that can be found on this site and we will get in touch with you the exact same day. Our promise as a painter and decorator is to provide professional expertise, exceptional customers service and quality construction.